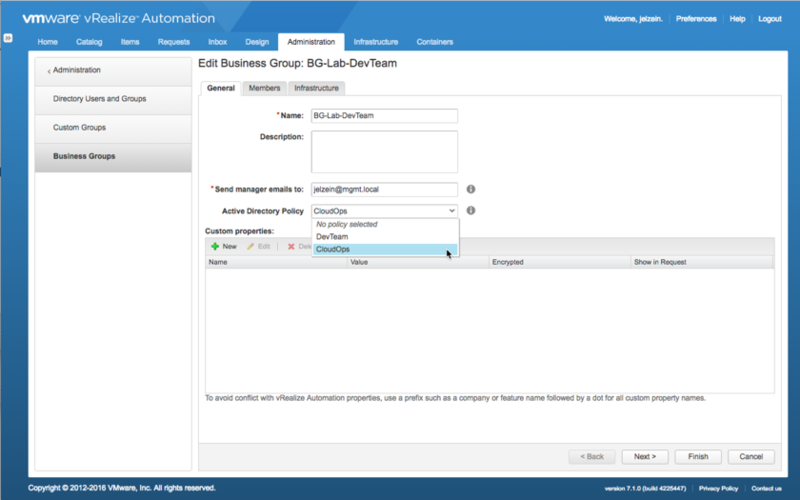 Today, VMware released the latest version of vRealize Automation 7.1. Here are some of the highlights I found to be really great improvements, also some of the new features in beta. 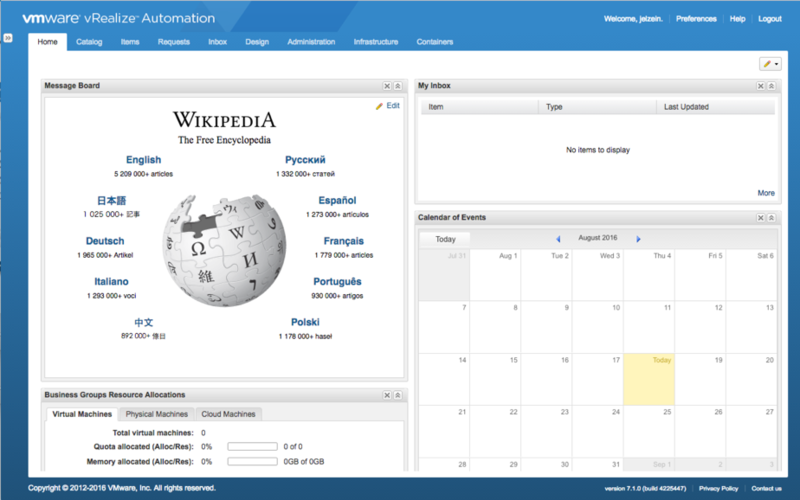 Open Source as part of vRA 7.1: Go here for download and instructions. This entry was posted in vRA 7, vRO and tagged 6.1, 6.2, 7.1, ad, automation, azure, container, endpoint, in, infoblox, integration, migration, new, out, scale, support, to, upgrade, vra, vrealize, whats by Ryan Kelly. Bookmark the permalink. how do we get the Azure Beta plug-in? is it built in to the system or a separate download? The beta plugin is part of the Azure Endpoint Beta at the moment. You will need to request to be added to the Beta and they will provide different bits and instructions. Any specific patch need to be run to Upgrade from vRA 7.0 to 7.1 to have new functionalities. 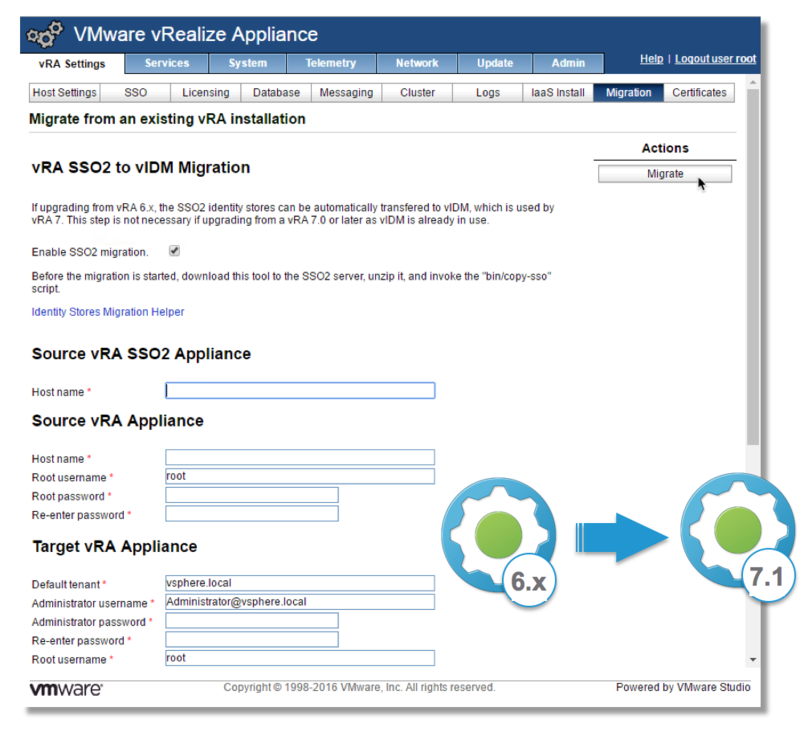 I won’t think we will be doing the DB migration or blueprint migration to move from vRA 7.0 to 7.1. Any specific documentation for same. Where did you find the information on the service now integration? This was announced at VMworld but is not part of the GA bits, you will need to contact your VMware representative to be included in the beta. Ryan, is there a beta program for the Admiral (containers) endpoint? Can you direct me to the right place if so? 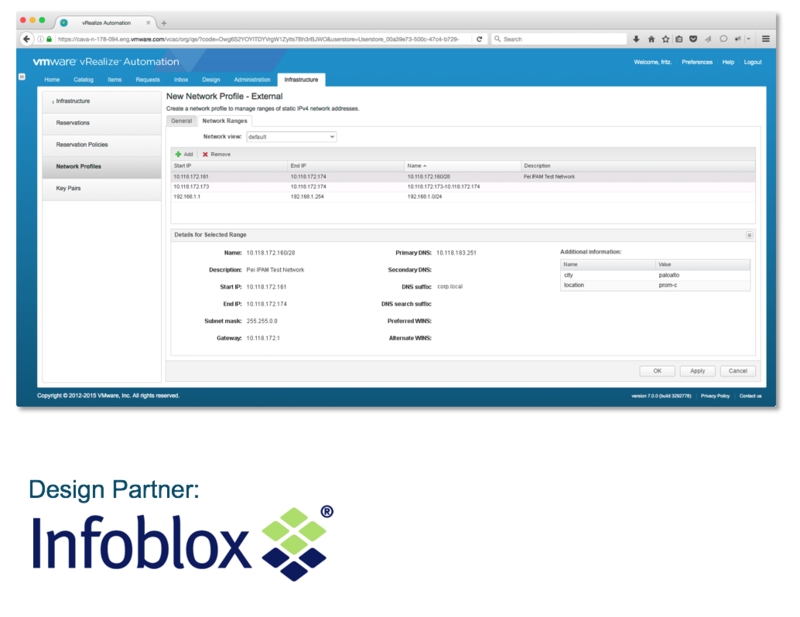 You would need to reach out to your VMware Sales Rep or reseller to sign up for the beta. Thank you so much Ryan. Your write ups are always extremely informative and easy to understand. Hi, I like the integration of the admiral into vRA (containers tab) . I’d like to do that, too! 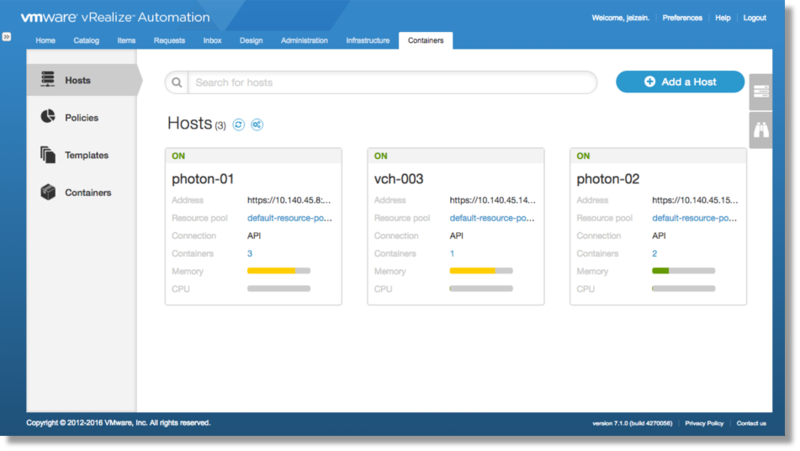 How do I configure vRA to show the containers tab? – Native ITSM integration with ServiceNow. CMDB is automatically updated, triggers SR/CR/Incidents. – Provisioning or Service Request failures automatically trigger Incidents in ServiceNow and can be configured with a log parsing technology to attach to the incident the latest log errors from across a vRA Enterprise Installation. – Request vRA Services and Amazon AWS Services from the same user interface. 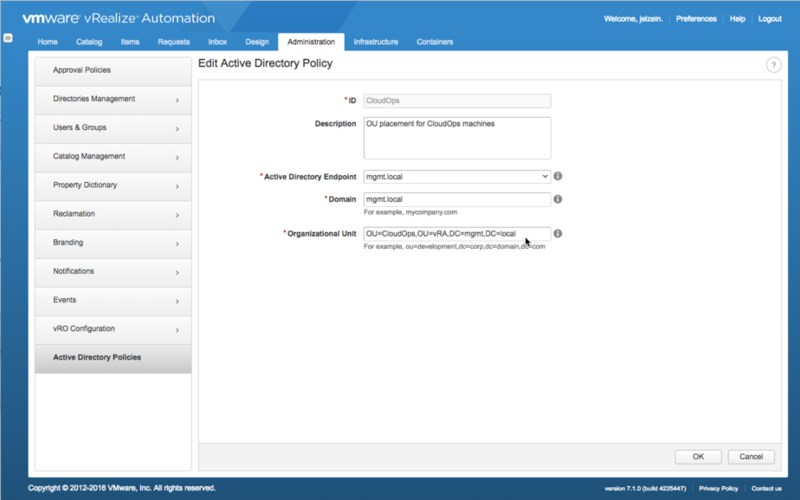 – Manage vRA Catalog/Service Items, BluePrints, Network Profiles, Custom Properties, etc. 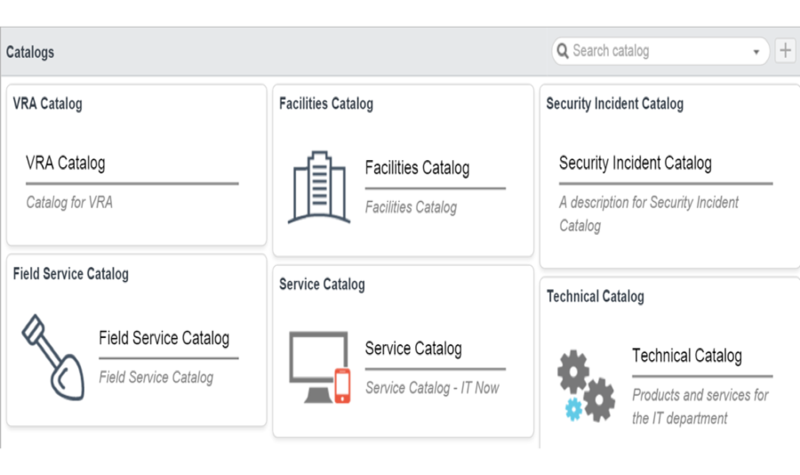 from ServiceNow with integration into ITSM. – Request VM State changes from ServiceNow with integration into ITSM. 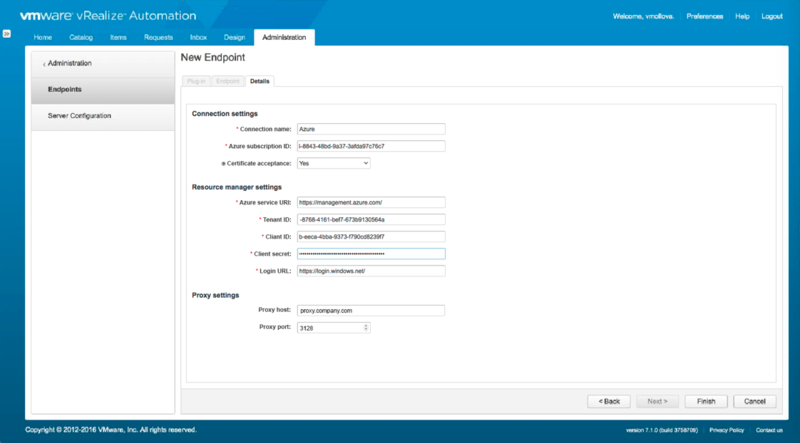 – Export BluePrints from one vRA Instance to other vRA instances. – Manage multiple vRA Instances from ServiceNow central pane of glass. Here is a link to the ServiceNow store to request a trial if your interested. 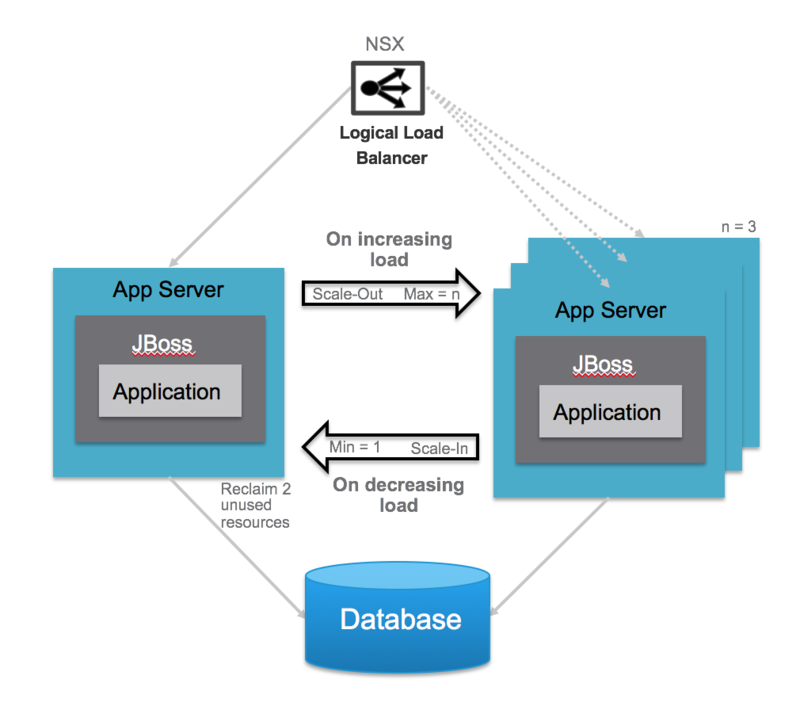 Its also published in the VMware Solutions Exchange. Trying to understand what we are missing or doing wrong. I would really appreciate your comments on this and if you can give some hints to resolve this. Have you already had a look at this post, I will try in my lab as well when I have a chance to see if I can help.